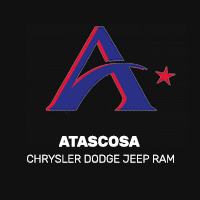 Allways Atascosa CDJR offers a wide selection of new Chrysler, Dodge, Jeep, and Ram vehicles, as well as used ones from a variety of carmakers. Our Finance Department is committed to finding you the flexible financing or leasing plan to perfectly suit your needs, whether your credit is great, good or not so good. The finance professionals at Allways Atascosa CDJR explain everything you need to know to choose which financing method works best for you. Our convenient online credit application lets apply for credit from the comfort of home. All you have to do is fill out the short form, and one of our Finance Managers will quickly process it for you. You can also use the Online Shopper tool to complete the majority of the car-buying process from the comfort of your own home. You can also use our Payment Calculator to estimate your monthly payment. Just enter the vehicle price, down payment, trade-in value, interest rate and number of months. The tool will immediately tell you the estimated monthly payment amount. By using our online credit application and payment calculator, you’ll know how to fit your purchase or lease into your budget. You’ll also be able to consider different trim levels, accessories and options that fit into your budget. Our Finance Managers are happy to review the leasing versus buying decision. We take the time to understand your situation so that we can point out your best deals.. We offer many financing specials so that you can drive off with one of our quality vehicles for considerably less. Our inventory of used-vehicle specials provides you with many great vehicles at unbeatable prices. Fill out the Allways Atascosa CDJR Finance Application today, and it will be our goal to get you driving a new or pre-owned vehicle without hassles or delays. Allways Atascosa can help you buy the car of your dreams! Our professional financing department helps customers secure a car loan or lease in the San Antonio area. We can even help Texas residents with less than perfect credit get an auto loan or car lease. Fill out our financing contact form below if you would like to have us get in touch with you to answer any financing questions. Or begin the financing process right now using our online finance application. You can also call us or stop by our Chrysler, Dodge, Jeep, and Ram dealership at 110128 IH 37 N to speak to an experienced new and used car loan professional today! Bad credit? No credit? Don’t let credit problems hold you back from buying a new Chrysler, Dodge, Jeep, and Ram or a quality used car. Call Allways Atascosa today – we can help! The Allways Atascosa Chrysler Dodge Jeep Ram loan process can help you find the best interest rate for your next vehicle purchase. Once the application is completed, the Allways Atascosa Chrysler Dodge Jeep Ram finance team will put together a loan package that is tailored specifically for you.